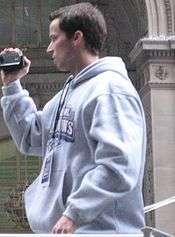 Tynes spent a short period of time with the Claymores of NFL Europe during 2002. Tynes' first year with the Giants worked well as he converted 27 field goals out of 32 opportunities in the 2007 season. During the NFC Championship game against the Green Bay Packers, Tynes missed 2 field goal attempts in the fourth quarter, however in overtime he made the game-winning 47 yard field goal in a 23–20 victory en route to the Giants' first Super Bowl appearance since 2000. Tynes got his first career championship ring as the Giants would eventually defeat the potentially-perfect New England Patriots in Super Bowl XLII. Playing 15 games of the regular season, Tynes made 19 field goals out of 23 opportunities. In 2011, Tynes converted 19 field goals out of 24 opportunities. During the NFC Championship game against the San Francisco 49ers, Tynes kicked another walk-off field goal in overtime to win the game, 20–17. Tynes got his second championship title as the Giants won Super Bowl XLVI against the Patriots. In the 2012 season, Tynes made a career-high of 33 field goals out of 39 opportunities. On July 17, 2013, the Buccaneers acquired Tynes after Connor Barth suffered a season-ending torn Achilles tendon. He contracted the bacterial infection MRSA in August 2013, as a result of an ingrown toenail that failed to heal. He was released on March 11, 2014. 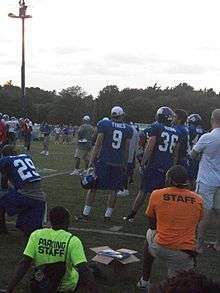 Since joining the Giants, Tynes and his family have lived in Clifton, New Jersey. He and his wife, Amanda, make their offseason home in the Kansas City area in Overland Park, Kansas, where their sons were born at Overland Park Regional Medical Center. Tynes is the seventh Scottish-born player in NFL history. Tynes is the son of a former American Navy SEAL and a Scottish mother. He lived in Greenock until he was 10 years old before moving to the United States. His father, Larry, was a member of SEAL Team 2 stationed in Scotland in the early 1970s. He is currently a detective in the Santa Rosa County, Florida Sheriff's Department in Milton, Florida. One of his brothers, Jason, served in the United States Army in Iraq and Kuwait. His other brother, Mark, is serving 27 years in federal prison on drug and witness intimidation charges stemming from his 2004 involvement in a plan to move 3,600 pounds (1,600 kg) of marijuana between Texas and Florida. Tynes has sought a presidential pardon to shorten or commute his brother's sentence. He has acknowledged his brother's guilt but feels the sentence was too harsh. However, in the proceedings, Mark was reportedly belligerent and uncooperative. The judge who presided at the case had parameters in which to sentence Mark and, because of his foul and unruly behavior, gave Mark the maximum sentence. Tynes enjoys soccer and supports Celtic Football Club, based in Glasgow. On August 17, 2005, Tynes turned himself into Pierce County, Wisconsin jail after punching a bar patron and breaking a bouncer's nose in a bar fight the previous weekend (the Chiefs' training camp at the time was based out of River Falls). Tynes was charged with one felony count of substantial battery and one count of misdemeanor battery. He was released on a $15,000 signature bond. Tynes paid a $397 fine for the incident. ↑ Cascio, Josh (August 28, 2013). "Tynes not responding to treatment for MRSA, wife says". FOX 13 News. Retrieved 29 August 2013. ↑ Gantt, Darin. "Buccaneers release kicker Lawrence Tynes". Pro Football Talk. Retrieved March 11, 2014. ↑ "Trade to Giants has worked out well for former Chief Tynes", kansascity.com, January 30, 2008. ↑ Profile, pro-football-reference.com; accessed August 16, 2015. ↑ "Scots Star Sends NY Giants To Super Bowl", DailyRecord.co.uk, January 22, 2008. ↑ "Brothers' bond stays true despite trying circumstances", sports.espn.go.com, April 14, 2008. ↑ "Giants kicker hopes to use fame to shorten drug-dealing sibling's jail time", nydailynews.com, November 25, 2008. ↑ "Celtic fan Lawrence is aiming for Super Bowl success". Celtic Football Club. February 1, 2012. Retrieved February 1, 2012. ↑ "Tynes accused of breaking bar bouncer's nose". ESPN.com.